Winner of a 2017 NAACP Image Award for Outstanding Literary Work, this moving manifesto “empowers women to access a fearlessness that will enable community progress” (Essence). Through one incredible woman’s journey from a small Zimbabwe village to becoming one of the world’s most recognizable voices in women’s empowerment and education, this book “can help any woman achieve her full potential” (Kirkus Reviews). Before Tererai Trent landed on Oprah’s stage as her “favorite guest of all time,” she was a woman with a forgotten dream. As a young girl in a cattle-herding village in Zimbabwe, she dreamed of receiving an education but instead was married young and by eighteen, without a high school graduation, she was already a mother of three. Tererai encountered a visiting American woman who assured her that anything was possible, reawakening her sacred dream. Tererai planted her dreams deep in the earth and prayed they would grow. They did, and now not only has she earned her PhD but she has also built schools for girls in Zimbabwe, with funding from Oprah. The Awakened Woman: A Guide for Remembering & Igniting Your Sacred Dreams is her accessible, intimate, and evocative guide that teaches nine essential lessons to encourage all women to reexamine their dreams and uncover the power hidden within them—power that can recreate our world for the better. Tererai points out that there is a massive, untapped, global resource in women who have, for one reason or another, set aside their wisdom, their skills, and their dreams in order to take care of the personal business of their lives. Not only is this a type of invisible suffering experienced by countless women, this rich resource is a secret weapon for improving our world. Women have the capacity to inspire, to create, to transform—and Tererai’s call to action “shines as a beacon of hope to women everywhere” (Danica McKellar, actress and New York Times bestselling author). I grew up in a cattle-herding family in rural Zimbabwe, a member of the Northern Shona or Korekore people. My village, Zvipani, is in the Hurungwe District, which was named after a famous sacred mountain known as Urungwe. During harvest seasons, before our community was devastated by the Second Chimurenga War that shaped Zimbabwe’s struggle for liberation, the people of the Zambezi Valley performed their rainmaking ceremonies in the shadows of this great mountain—a potentially active volcano—its size a source of pride and dignity for all the people in the fifteen thousand or so households that make up the Hurungwe District. When earthquakes hit the region, and the mighty Urungwe rumbles, the people of the valley drop to their knees in prayer in awe of its power. The Shona have inhabited Zimbabwe since at least the eleventh century, when the ruins of Great Zimbabwe, a city center for trading where many artifacts of art, politics, and culture have been found, are dated. Shona people are divided into five major clans, each with its own mutupo, or totems defining lineage and family. I was born into the Moyo—the Heart—mutupo, among the Korekore in the northern region, which has traditions steeped in such ancient art as fabric painting, sculpture, and music practices—beautifully giving voice to the human condition in ways that transcend geography and time. The Korekore people are indigenous farmers with a rich spiritual culture. We believe that our world and all that exists begins with the Supreme Being and Creator, an invisible spirit presiding over heaven and earth whom we refer to as Mwari, Musikavanhu, or Nyadenga, which in translation generally means: “He Who Is”; “God, the Great One”; “the One who created people” or “the Great Spirit.” Individuals cannot access God, and so our elders seek advice and guidance from God through vadzimu, ancestral spirits. These invisible guardians, our ancestors, are the cornerstone of our spiritual life as well as a source of comfort and protection, especially during illness. It is these ancestors to whom we pray for protection when the Urungwe rumbles. Like most native Zimbabweans, the Korekore way of life is organized around our belief in collective duty for the survival of all. There is an unspoken rule that obligates individuals to a moral responsibility to work for a common goal. All things being equal, the community and the ancestors protect individuals and their rights. As children, we learn early that we belong not only to our families but also to our neighbors. As such, neighbors have the same rights and responsibilities as family members to instill good manners in village children. It is believed that an individual’s behavior, good or bad, affects the wholeness of the society. As children, while having so much adult supervision has grave consequences when we misbehave, it also gives a sense of security and belonging. Very often, neighbors bring food or cook for children when their mother is away. Despite the beauty of our collectiveness, other powers within the environment threatened our way of life. The British colonized Zimbabwe in 1888, and communities like ours were forcibly resettled from our ancestral homes to this incommodious territory when the harsh terrain was determined to be unsuitable for European colonists. Demarcated by the European settlers as a “native” reserve in 1913, Hurungwe became one of the largest and poorest African Reserves in Zimbabwe. Today it is known as the Mosquito and Tsetse Fly Belt. Our village has struggled with disease, poverty, and a lack of basic resources—clean water, electricity, health care, education, and at times, food—for decades. I have seen how volatile things happen when poverty, war, and an oppressive colonial system interlock with existing norms of a traditionally patriarchal society. Women and girls, although powerful keepers of our wisdom and collective memory in Korekore culture, were devalued by a clan system that gave men power over disputes and decision-making and marriage practices like polygamy and wife inheritance. Onto this reality, the oppressive colonial system layered the denial of our dignity and sources of subsistence, shaping and extending inequality among the community. We were sitting on a powder keg. When the war for liberation broke out during my youth, my people, who were already strained by these patriarchal and colonial forces, grew divided. Families were forced to divulge family secrets, communities were torn apart when they disagreed on which side to support, or based on whose children had joined either the freedom fighters or the Rhodesian army. Women and girls became casualties of a war that started before some of their mothers were born. While all women and girls were in danger of sexual violence as soldiers passed through their homesteads, unmarried young women and girls were the most vulnerable. Rather than have their daughters sexually abused, fathers and clan leaders forced very young women into marriages as a kind of protection. It was within this milieu that I, hardly fourteen years of age, had my first child. By eighteen years of age, I had birthed four. You see, I come from a long line of women who were forced into a life they never defined for themselves. I had lived my whole life in a poor rural village and had seen how poverty and a lack of education deeply entrenched women in a life of servitude and took away their self-esteem. My own mother and the women before her could only endure their husbands’ infidelity, because men are held to a different standard than women. Promiscuity among men is regarded as part of the norm. Despite my own early and abusive marriage, the determination and brilliance of the women around me, who moved through life with stoicism despite the hardships they faced, planted a seed that stirred a deep hunger in me for a different life. Yet it was not that easy to change my life. A chance opportunity came when I encountered a visiting American woman who assured me that anything was possible. She reawakened my dream for an education, and for the education of all girls and women in my village. At my mother’s urging, I wrote down my dreams, planted them deep in the earth, and prayed they would grow. They did. With steadfast determination, hard work, and belief in my dreams, I eventually earned not only a PhD, but also a prominent global platform from which I could address world leaders and international audiences, where I could lead the charge in the fight for quality education and women’s rights. In 2012, I founded Tererai Trent International (TTI), an organization working to improve and provide universal access to quality education in rural communities in Zimbabwe. With Oprah Winfrey’s generous donation and a partnership with Save the Children, my foundation has impacted nearly six thousand children who are receiving quality education and getting an early start on learning. We have trained many teachers and built classrooms, and today girls are sitting in classes not only in greater numbers, but also with confidence in a better future. In almost fifty years, no child from Matau School in my community went on to attend university after completing primary and secondary school until my organization was on board. Now the Matau community can boast of several students in different colleges, including one at the University of Zimbabwe, one of the best academic schools in the country, and another at a university in Algeria where he is pursuing a career in medicine. But I am getting ahead of myself. Long before I landed on Oprah Winfrey’s stage as her “favorite guest of all time,” before the founding of my nonprofit organization, and before I was a two-time keynote speaker at the UN Global Compact Leaders’ Summit, I was simply a woman from humble beginnings who had a sacred dream that was only waiting for me to awaken in order to realize it. Around the world, women are awakening as in no time in recent history. In January 2017, surrounded by 750,000 people, I marched in the streets of Los Angeles as part of the Women’s March. Globally, three million women, men, and children marched that day. “Do you hear that?” my friend asked as we made our way to the rally. It sounds like a plane, I thought, unable to place the sound. “It’s people,” she said, tears welling up in her eyes. “It’s people!” I reached for her hand, chills of emotion running through me. Soon we could see for ourselves where the hum originated: pulsing throngs of women in a sea of pink hats and brightly colored signs, smiling and chanting together as one. Across the United States, and on every continent that day, women came together with the battle cry of justice and love on our lips. Afterward the question I heard most was “What now?” We saw what we could do together and now we longed for a blueprint for what to do next, a handbook for manifesting our vision of a better world in big and small ways. This book is that blueprint; from traumatic beginnings, I manifested my vision for a healed world. I offer the storytelling and practices in the pages that follow from my heart to yours in the hopes that they will nurture your awakening as a sacred sister ready to make waves. My sisters, we women are a massive, untapped, global resource for healing the world, and we are now rising up all over the world—in the streets, in the home, in the political arenas formerly run solely by men, in academia, in corporations, in the media, and in service to the world. And yet so many of us have, for one reason or another, set aside our deepest wisdoms, our most precious skills, and our most sacred dreams. The events of my early life silenced me, and I know many of you have suffered silences, too. I also know, like me, you can and will awaken and live your sacred dreams—a cosmic purpose lying dormant within that waits for you to arise and speak its name. This book is your guide to do this, to uncover and reignite that which is most sacred to you—the dream in your heart and the connection to your global sisters. Women have a unique capacity to inspire, create, and transform. My mission is to ignite your sacred dreams by providing accessible, intimate, and evocative guidance that encourages you to reexamine your dreams and uncover the power hidden within you—power that can re-create our world for the better. I will tap into the dreams in your heart, give you permission to claim your greatest purpose, and provide you with the tools to forge a brighter path—for all. This is the movement of the awakened woman, the circle of sacred sisters. In these pages, I will tend the fire of resilience glowing within you. I will be your companion as you reclaim your potent voice, filling in the past silences. With poetry and storytelling, I will give you the courage to nurture your deepest hungers and discover your sacred dream, to plant and tend the seeds of who you were meant to be, and to align your life in harmony with the greater good. Poised between the ancient and the modern, a rural village in Zimbabwe and major cities in the United States, I offer you a global perspective on the root causes of women’s social devaluing, and our connection across geographic borders. This book is for those women who harbor forgotten or untapped dreams, unheard and overlooked, from the global south to the global north. It is meant to help us remember that we are our own and the world’s richest resource. We need to be remembered—and we need to remember ourselves—if we are to release this life- and world-changing power. Far too often society does not understand who we are as women. It misreads us. We must come together to proclaim that we are a global matriarchal collective of healers and dreamers. The spirit of this collective can heal nations. I know that you have a desire in you: a desire to be seen, to be heard, and even to hear yourself more clearly. A desire to dream. I hear those longings. This book will rekindle—or set ablaze—the flame within you. Not only will you see and hear yourself more clearly, but you will also see and hear others that have a burning desire to remove what silences them. This book harnesses all the lessons and stories I’ve learned in my own life and in my experiences as an internationally recognized voice in women’s empowerment; it will give you the tools to name and manifest your sacred dreams. Weaving indigenous wisdom from my land and people with contemporary research, I hope to bring a unifying and expansive perspective to what it means to become an awakened woman in our modern times. Now more than ever, when we as a global community face complex problems too big for easy solutions, the world needs the vision, creativity, and voice of the women of the world. We can no longer afford to live our lives cut off from our sacred and collective purpose. The world needs a cadre of awakened women—women in touch with the divine in them, women empowered by their femininity, women cultivating their sacred dreams and by doing so nurturing the sacred purpose in all women. In the chapters that follow, we’ll go step-by-step, hand in hand to awaken your sacred dream, spreading out into the fullness of your body, mind, and spirit; proclaiming your worth and your dignity, healing your soul wounds, and empowering you to dream boldly again. I also want to mention that each chapter ends with a “Sacred Ritual” for you to practice on your journey to achieve your dreams. Why ritual? Because rituals give strength and direction to a journey. They are what give meaning to an unpredictable world and its forces of silencing. They are the actions we need to walk the path to our dreams with confidence, knowing we are guided by something bigger than we are. Many religions, tribes, and families have their own faith rituals, which they practice without fail to provide meaning to their existence. This is also true among my Korekore people, for whom rituals are the sacred actions that bind our collective power, grounding our ancient connections to earth and life wisdom. They guide us in how we treat the earth and express our gratitude for the sources of our healing and well-being. My grandmother always reminded her grandchildren that while rituals guide us in achieving our dreams, we should not forget that rituals are the highest platform from which to show our gratitude. Rituals have been used since the days of the cave dwellers. And my people believe they carry and deliver profound messages from our ancestors and the universe. They not only give meaning to our lives here on earth, but also connect us to the mysteries of the world that the human mind has yet to understand. I live my very life by rituals in honor of those connections. Every breath and action I take is guided by these rituals, as they help me celebrate the joys of my existence while providing me with a mirror through which I can understand loss, sorrow, and my healing. They need to be practiced with humility—they are that important. And you are that important. You have the power to practice rituals that will strengthen your belief in yourself and your sacred dreams. Together, through a mix of indigenous wisdom rooted in sacred experience and generations of lives, modern research, and sacred rituals, we will walk the path to your sacred dreams, a path of joy and discovery as you make your way to your fulfilled self. With each page, each story, each question, I call you to take action: to find your great purpose, reclaim your voice, embrace your body’s yearnings, nurture your spirit, and claim your place among the sisterhood of sacred dreamers. This sacred dream journey is the path of the awakened woman, my sisters. Your dreams are a place where the divine resides. In order to awaken, you must unearth them, nourish them, and walk toward them in body and soul. Once awakened, you embody the divine, capable of healing your own soul and the heart of the world. Dr. Tererai Trent is one of the most internationally acclaimed voices for women’s empowerment and quality education. Hailed by Oprah Winfrey as her “all-time favorite guest,” Dr. Trent is an inspiring and dynamic scholar, educator, humanitarian, motivational speaker, author, and the founder of Tererai International. She has appeared on The Oprah Winfrey Show, SuperSoul Sessions, CNN-Voice of Africa, CNBC, and has spoken at the United Nations, TEDx, the Women in the World Summit, and this year’s Emerging Women summit, among others. She received her PhD in Interdisciplinary Evaluation from Western Michigan University and holds Master’s degrees in Public Health and Plant Pathology. "The Awakened Woman empowers women to access a fearlessness that will enable community progress." 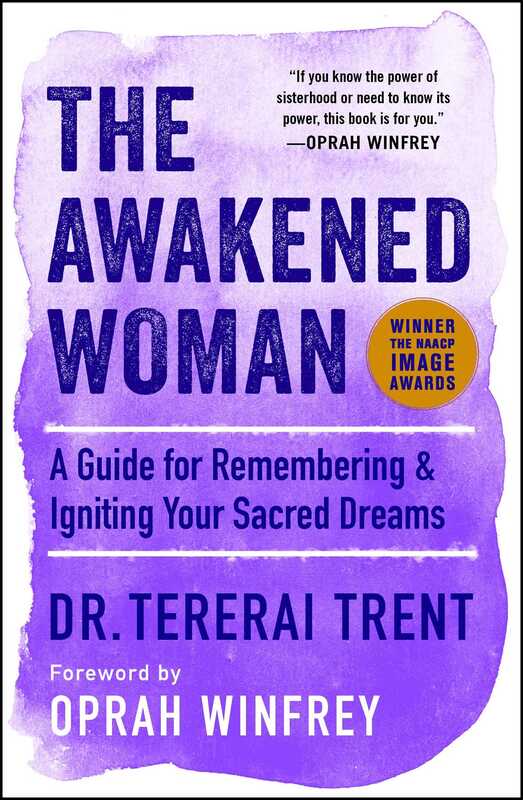 "In The Awakened Woman, Tererai Trent weaves her riveting story with that of other women to inspire us to dream as boldly as she dared to, then holds our hands and walks us through each crucial practical step to achieve those dreams. Tererai calls us to remember the foundation of who we are and reminding us of the rituals that ground us. This powerful interactive book is a perfect gift for your girlfriend, your daughter (or yourself!) when you want to say: BE YOU. BE BOLD. BE CREATIVE. YOUR LIFE MATTERS. And what could be more important than that?" "I am amazed at how eloquently Dr. Trent has shared her story of trials and triumph. It has inspired me to live out my truth and encourage my sisters to do the same. I believe we all need to be awakened from the past that keeps us held back from living the greatness inside of us." "Provocative. Illuminating. Delightful. 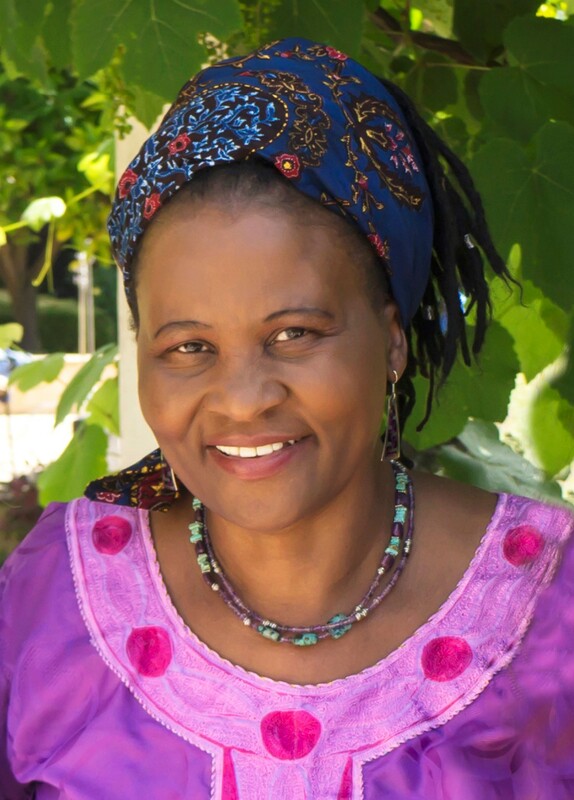 In The Awakened Woman, Zimbabwean-born author Dr. Tererai Trent creates a bridge between unlikely worlds—weaving precious wisdom of Africa with modern-day research, she enlightens women on how to be midwives to their own sacred dreams. Her passionate insight presented through the lens of her amazing life’s journey makes this book a unique and rare treasure." "The power of her new book, The Awakened Woman, is in its wisdom, its simple advice for all women. To recognize and hone the tools we’re given. To let go of fear. To use our femininity. To walk away from others’ presumptions and follow our own hearts. To build our collective “sisterhood.” To believe in ourselves. "Trent's energy and conviction are evident throughout the book, and her story is invigorating, revitalizing, motivating, and encouraging...An empowering story coupled with easy-to-navigate steps that can help any woman achieve her full potential."